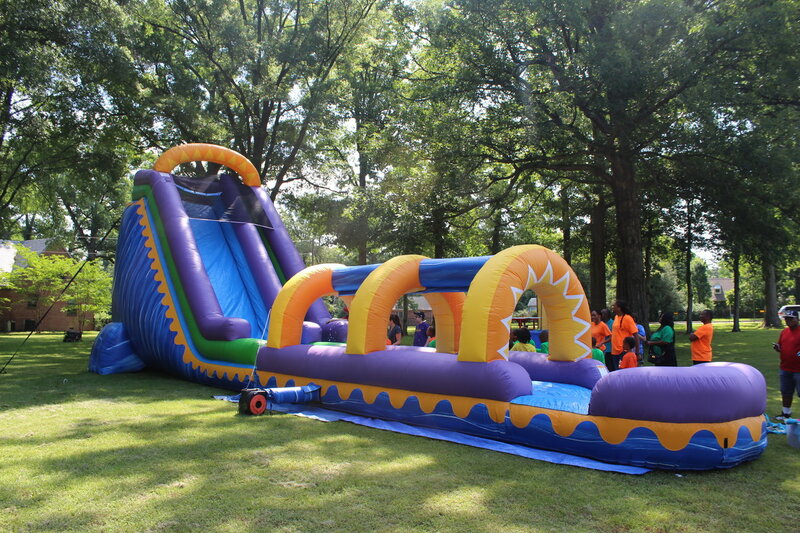 Sunrise 22' Water Slide Slip n Slide Rentals | BounceGeeks.com Richmond, VA.
Our slides are becoming so popular, so we got in another brand new one, the Sunrise Slide! 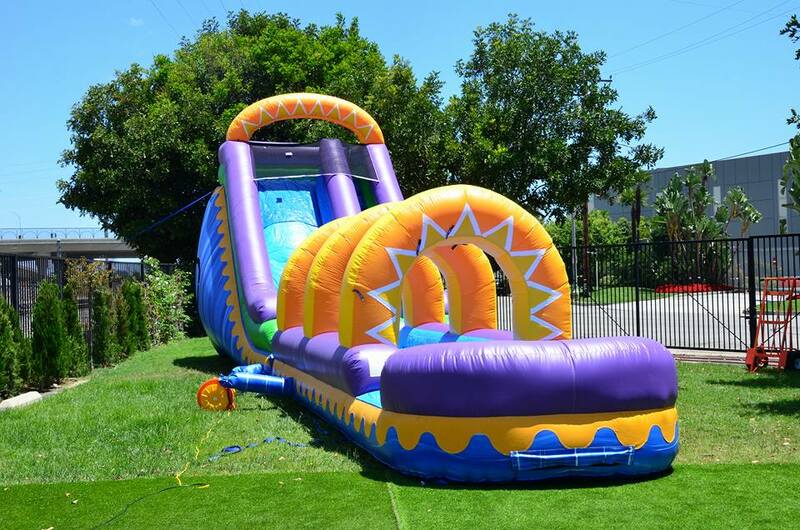 Your kids will love this 22' tall slide! For a cooler experience, we attach the slip-n-slide to the bottom. This adds 26 more feet of fun the the slide, wow! 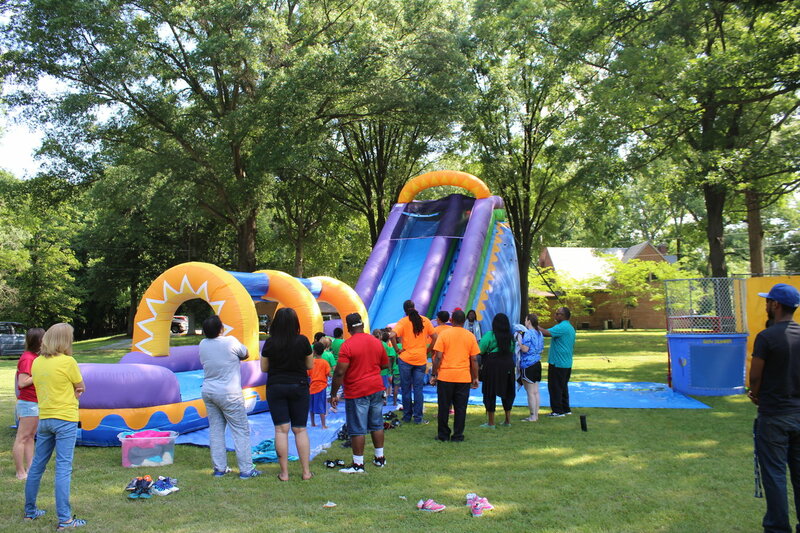 This slide is sure to be the highlight of your event, whether it's in a backyard, park, or anywhere with a large crowd. 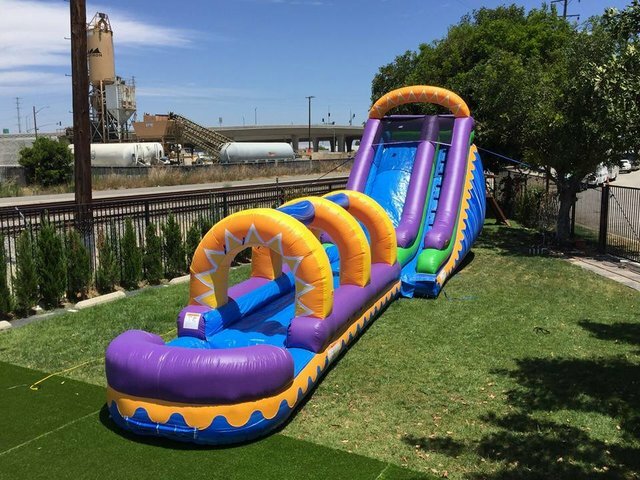 This is the ultimate wet slide experience, and we guarantee you will love it!